Jerry Naiser, founder of Real Green's Lawn Club Pest and Lawn Care. 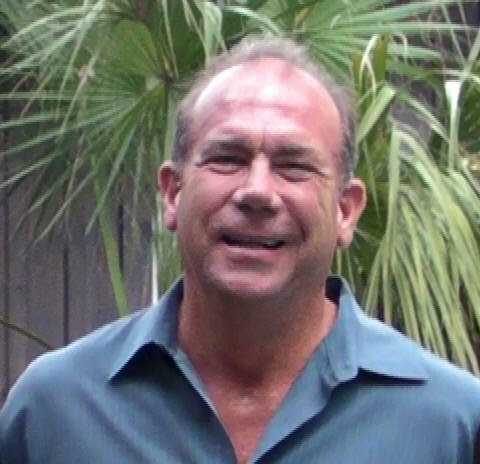 Mr. Naiser is very well respected as an arborist, horticulturist, diagnostician and applicator. He is licensed by The Texas Department of Agriculture, to treat all plants big and small and the Texas Structural Pest Control Board. He is a Texas Certified Master Gardner and a ISA Certified Arborist and a Texas Forestry Service - Certified Oak Wilt Specialist. He has been sought out as an expert witness in civil and criminal cases and his consultation expertise is valued nationwide. Mr. Naiser can often be found guest speaking at Garden Clubs, Home Owners Associations, and Green Industry Trade Events. He is a 4th generation Texan, His wife Mary Alice is a 5th generation Texan. They have two wonderful daughters, Haley (13) and Catherine (11). Welcome, We're glad you found us. For Over 25 Years, Our focus has been on plant Health Care. We have won more Awards for lawn care, (in our market) than all the other Lawn Care Companies combined. Drought or not, the awards keep coming. Of note, we won "Green Thumb of the Year" for our work on the Texas Governors Mansion. We have built our reputation on internal training. Unique to Real Green's Lawn Club, Our Companies Owner came up in the industry "hands on and qualified" and keeps it that way to this day. Without exception, all the other companies that are of any size, (in our market) came up from the sales side, working for a national company. They simply replicate what they have learned. We have found that its easier to hire and train, (our way) then to retrain and remove bad habits. Thru hard learned lessons, we prohibit the hiring of past employees of all the National Companies. We are Licensed by the Texas Department of Agriculture and the Texas Structural Pest Control Board. We are Horticulturists, Arborists, and plant Diagnosticians. We are members of: Independent Lawn Care Association, The Professional Lawn Care Association, The International Society of Arboriculture, The Texas Forestry Association, The National Arborist Association, and The Society of Commercial Arborists. Our service is highly cost effective because we pay attention to detail. This allows us to catch the presence of insects, weeds, or diseases in a timely fashion, thus reducing the amount of treatment needed and therefore the cost of cure. We are successful because of you, our clientele. Our approach is simple: Give good advice, based on tried and true techniques, and do what we say we are going to do, when we say we are going to do it. And above all, we respect the environment in which we live. With this approach, not only are your plants healthy, but so are you.